St. Joseph School was established in 1955 and staffed by the School Sister of St. Francis. 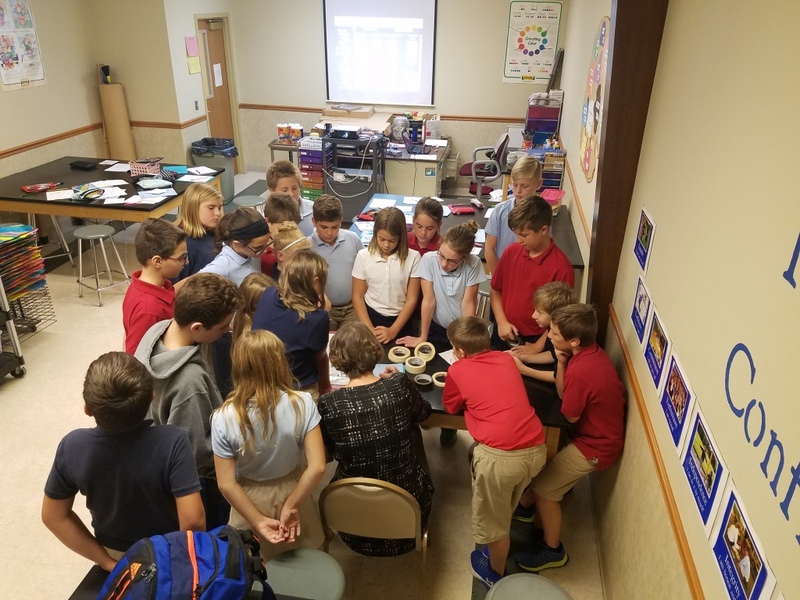 The first year, grades 5, 6, 7, & 8 (with a total of 38 students) were taught by two teachers in one large room that has been divided into the current 7th and 8th grade classrooms. Across the hall was one large activity room that has been divided into the current 5th and 6th grade classrooms. Sr. Coleman and Sr. Florence lived in a small cottage on Little Muskego Lake that was too cold and damp to live in during the winter. So the two nuns put up cots in the school office and lived in the school during the winter until the house across the street, that was being built for the two nuns, was completed. Two significant additions to the building have added 4 classrooms and a library in 1979 and in 1999 the old church was renovated into a kindergarten room, an art & science lab, a new school office and 4 meeting rooms. A new cafeteria/parish hall was added in 1999 at the same time as the new church. The physical facility of St. Joseph School has changed since 1955 and the curricular program and extra-curricular activities have changed to include Spanish classes, computer classes, Lego Club, Character Education, and competitive athletics. 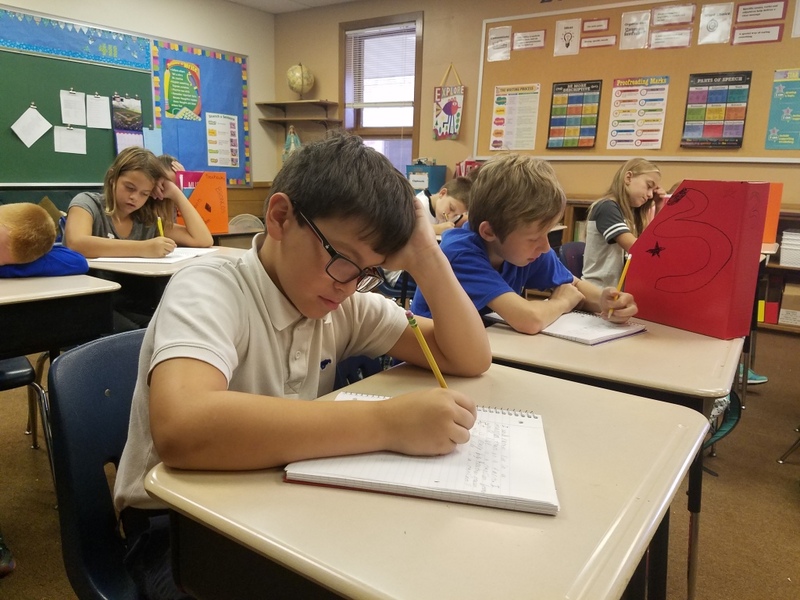 What hasn't changed is that St. Joseph School continues to offer a strong, Catholic, faith-based education with high academic standards that has been an asset to the parish and the local community. St. Joseph School is committed to spiritual formation and excellence in academic achievement and performance. Our staff has created a faith-based community where our Catholic religious values are integrated into all areas of the school day. Our strong academic curriculum is enhanced by special instruction in the areas of music, art, physical education, Spanish, and computers. Extracurricular activities include athletics, Cantors, Mass Servers, National Junior Honor Society, and Scouts. Our students benefit from small classes which allows for extra attention from the teachers in the classrooms, and a quality after school daycare program. St. Joseph School's curriculum is built on a framework of guidelines consistent with the archdiocese and state requirements and mandates. It follows the scope and sequence dictated by state curriculum, textbooks, and standardized tests. The basic core subjects include religion, reading, math, social studies, science, English, and spelling. All curricular subjects are rooted in Christian tradition and beliefs. This provides us with a comprehensive system of instructional excellence. Upon completion of eighth grade, our students are fully prepared for their chosen high school's program. We want our students to have a well-rounded education. To that end, our special programs are designed to help our students realize their full potential personally, socially, and academically.